Should I Steam Clean or Dry Clean? We come prepared to Steam Clean or Dry Clean. 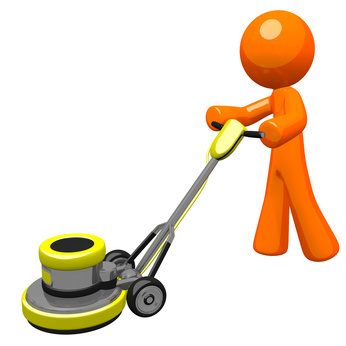 We can help you decide which method suits your needs when we get to your cleaning appointment. Depending on the use of your carpet, it is recommended to have your carpet cleaned at least once a year. Yes, we move light furniture, like Sofas, Loveseats, End Tables and Coffee Tables. What should I do to prepare for my cleaning appointment? We recommend removing all delicate items from any furniture that needs to be moved during the cleaning and to vacuum your carpet. How long will my carpet cleaning take? Each room usually takes about 20-30 minutes to clean. Steam Cleaning can vary, but is usually dry within a few hours. Dry Cleaning is dry in about 30-45 minutes. My pet has urinated on my carpet, will all my spots come out? Will I still smell pet odor after my cleaning? Pet Stains and Odors, in most cases, will come out. Of course, you can help by making sure when accidents happen, you soak up the moisture immediately and treat the stain with a recommended treatment. After we Professionally Clean the stains, we will treat the odor with pet odor treatment at an extra cost of $15.00 per room. This will help ensure the best result, and help remove any odor in the carpet. Should I apply Carpet Protection? Yes, Carpet Protection seals your carpet fibers. This will make stains and spills easier to clean out of the carpet. It will help your high traffic areas clean up easier with each cleaning and help prolong the life of your carpet. Carpet Protection is optional and is $15.00 per room. Don't forget, we clean Upholstery, Area Rugs, and Hardwood Floors! We look forward to serving your floor care needs!